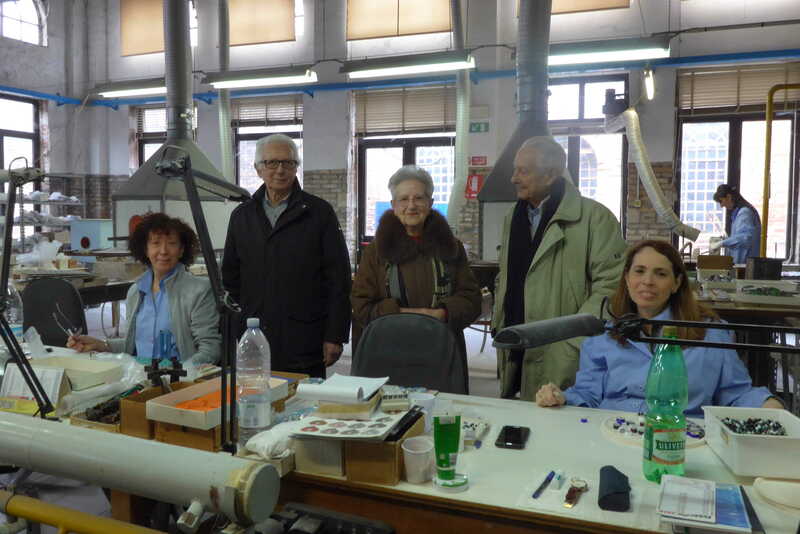 My father, now retired, worked almost all his life in Soiva, a glass factory, founded in Murano in 1958. 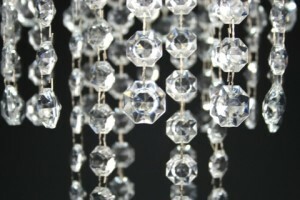 In 1962 Soiva moved to the Venetian mainland and specialized in glass pendants for Bohemian-style chandeliers. My father was not a glass blower, he worked at the lathe. He used to stand there for hours, while creating the moulds to shape the molten glass. He was one of the innumerable professionals necessary in the glass-making process. He proudly claims his contribution was fundamental in achieving an impeccable outcome. 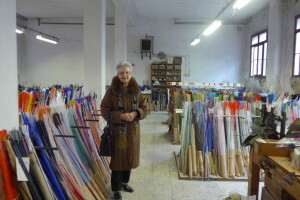 The Soiva company still exist and operate efficiently, selling their glass products worldwide. 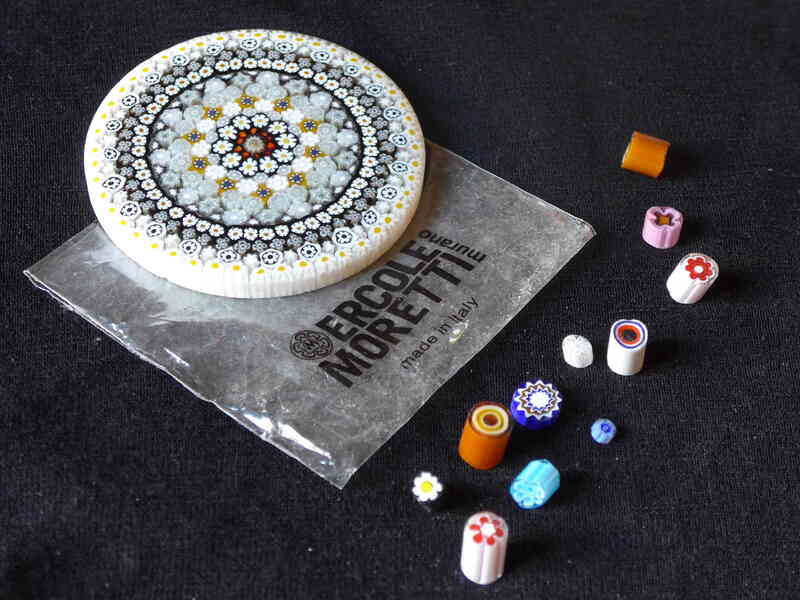 Soon after the end of WWII, my mother - aged 15 - began to work at the Ercole Moretti, a glass company established in Murano in 1911. Ercole Moretti is still one of Murano's most famous brands. My mother worked there as a bead-stringer until she got married. Bead stringing and knotting are the final, necessary steps of the beads production process. After that, the beads are ready for being delivered worldwide. Bead stringing and knotting require perfection, exactness and speed. My mother became a professional in this field, and is still one. 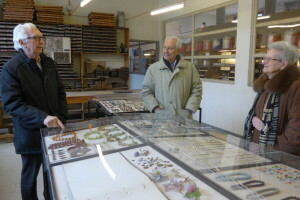 On the occasion of her 87th birthday, Gianni Moretti and his brother Luciano Moretti, two veritable Murano glass heroes, nicely welcomed us and showed us around the Ercole Moretti's premises. What a perfect day. I started to collect antique Venetian beads years ago, in Paris, at a flea market. Accidentally, I came across a string of big, colorful, old Venetian glass beads. I got hooked. Glass manufacturing in Venice was and still is a segmented, highly specialized economic sector. Much of Murano glass success over the centuries was due to the production of glass beads. The production of beads - in innumerable forms, sizes and colors - engaged thousands of workers, especially women. 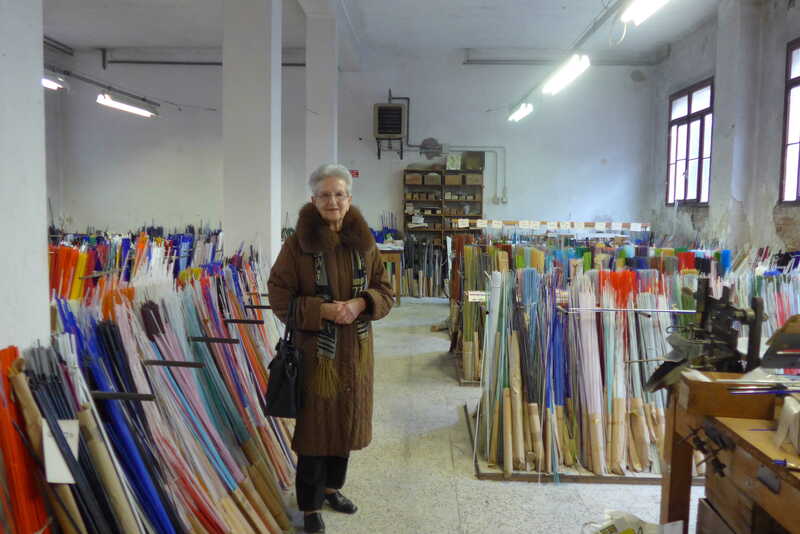 Glass companies used to rely on an extensive putting-out system spread all over the city, not only in Murano. 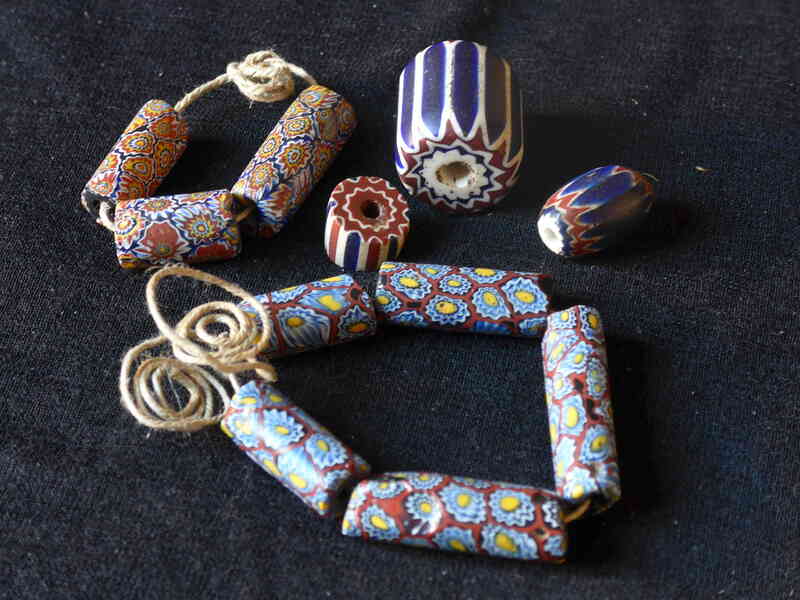 Hollow glass canes were cut into tiny segments and rounded off through heating to make ‘conterie’, or seed beads. Or they were produced one by one, by winding a lump of flame-heated glass around a metal wire. From the 15th century through the first decades of the 1900s Venetian glass beads travelled the world. 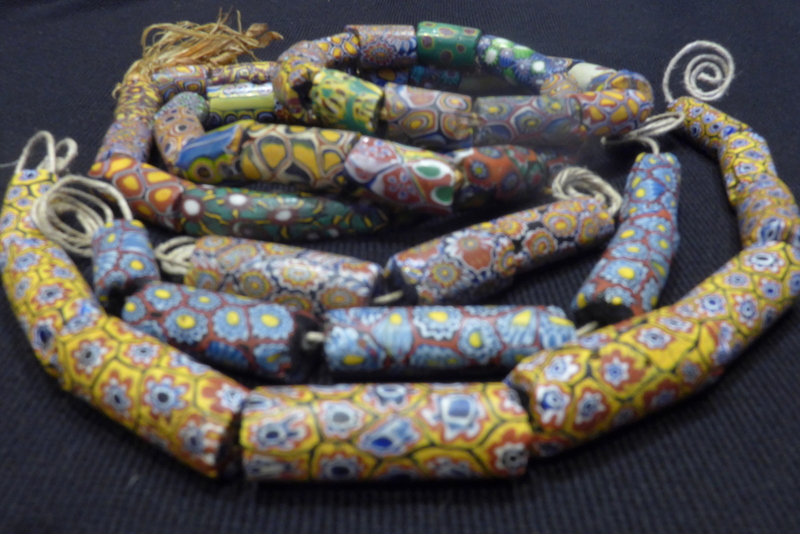 Endurable as they are, glass beads were used as a form of barter along the trade routes across the African territory. From Venice, they were sent to Liverpool, Amsterdam and Lisboa, and from there to the African and American colonies. These ‘trade beads’ are mostly associated with West Africa, where beads are still much loved. In Ghana, old beads are considered to be very precious and are passed down in the family as heirlooms. They are supposed to show status and wealth, secure marriages, provide healing, are used for rituals and for coming-of-age ceremonies. A fascinating story, still underestimated, yet recently revitalized thanks to a couple of excellent exhibitions held at the Glass Museum in Murano.